Recently I sat through a presentation where the presenter made the claim that people always act out of their own self-interest. That ethical egoism was enshrined as the only option for personal decision making made my inner-ethicist cringe. In that environment it was too much to hope for a full-scale discussion of ethical approaches (i.e. the role of rules, formational habits, or even the ‘greater good’). While this discussion didn’t happen in a religious environment, the moral decision making of Christians often looks the to the same as everyone else. And as much as I may balk at that presenter, we live in an ethical-egoist-age. In Pursuing Moral Faithfulness, theologian Gary Tyra explores the realm of moral decision-making under the rubric of Christian discipleship. Tyra is professor of biblical and practical theology at Vanguard University and has more than three decades of pastoral experience. His approach to ethics as discipleship aims to set ethics within a larger frame. One that has the possibility of theological and moral realism, accounts for the Spirit’s role in moral guidance, and balances respect for rules with considering consequences and cultivating character (21-27). The goal of ethics is to make thoughtful ethical decisions in keeping with what it means to be a follower of Christ. This book divides into two sections. Part one introduces readers to Christian ethics and names the major ethical options (i.e. deontological and consequentialist approaches, and the effects of our cultural moral relativism on our ability to make ethical decisions). Part two aims at describing the ethic of responsible Christian discipleship: Christ-centered, biblically informed and Spirit empowered moral decision making. Tyra is a pastor and theologian. His ethical formation came from studying with Lewis Smedes at Fuller Seminary (and practical theology from Ray Anderson). Throughout this book he focuses on the practical dimension of moral deliberation in the Christian life. The rubric of discipleship enables him to include the best elements of deontological, consequential and virtue ethics. In this respect his approach reminds me of Dennis Hollinger’s (Choosing the Good, Baker Academic, 2002). One of the features of Tyra’s approach is his use of scripture. He points to the ethical insights of Micah 6:8, the importance of consequences and God given wisdom for proper moral deliberation evidenced in Proverbs 2, how Jesus’ antithetical statements in the Sermon on the Mount (Mathew 5:21-47), reveal God’s heart in a way that hyper-literal observance of the law did not (216-219). Tyra doesn’t explore Torah at length or the ten commandments; he is more interested on what the heart behind a law is than mere legal observance. Laws and consequences are re-framed relationally. So is formation (the Spirit’s work guiding and enabling our moral life). I think his articulation could have been sharpened by a more substantive engagement with the Pentateuch and the concept of covenant. however, Tyra paints a practical picture of what responsible Christian moral decisions look like. This is a good introductory book for Christian ethics. Tyra argues for a thoughtful approach to ethics which defies the relativism of our culture. This will be a good text book, and a helpful resource. I give this four stars. 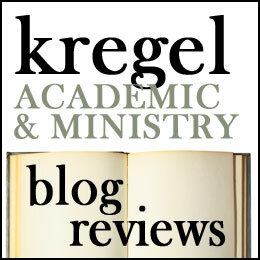 Taking, Making and Faking Life: a Christian Approach to Bioethics (a book review). Modern medicine poses ethical dilemmas for Christians. Controversial issues like abortion, euthanasia, in vitro fertilization, cloning and genetic engineering challenge Christian views of morality and human dignity. But how are followers of Jesus supposed to make decisions about health care and life and death? 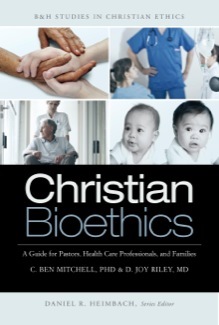 Christian Bioethics was written to provide guidance for pastors, health care professionals and families. C. Ben Mitchell, PhD, and D. Joy Riley, MD conduct a dialogue on a range of topics. Mitchel is Professor of Moral Philosophy at Union University and Riley is physician specializing in Internal Medicine and the director of the Tennessee Center for Bioethics. Together they frame the issues, discuss relevant scriptures and share their suggestions of how Christians ought to respond. Mitchell and Riley argue for a return to the Hippocratic and Christian tradition of medicine. They urge physicians to heal not harm and promote respect for the dignity of human persons. Their ethical discussion ranges from Taking Life (abortion and euthanasia) to Making Life ( Infertility and reporductive technologies, organ donation, cloning and animal-human hybrids) to faking/remaking life (aging and life extending technologies). The two of them are adept at framing the issue and limiting what they are talking about. They also say some thoughtful stuff. I particularly enjoyed their discussion on dying and their reference to both the Bible and to the Christian tradition. Quite a lot has been written on the topic of ‘dying well’ and Mitchell and Riley bring things together in a winsome and relevant manner. Pray for Illumination by the Holy Spirit. Are there implications for spouse, family members, or others? What precisely is the moral question(s) to be answered? What are the literary style and organization? What definitions and grammar are significant? Apply the biblical instruction to formulate a potential answer. Engage in dialogue with the Christian community. This method delineates the approach that Mitchell and Riley attempt throughout this book. 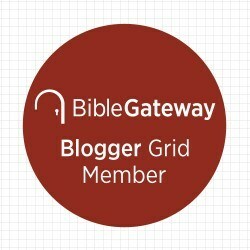 I really appreciated the care by which they approached the issue and sought out the wisdom of scripture with hermeneutic sensitivity. They make judicious use of the Bible. I am in general agreement with their conclusions (pro life, human dignity and trust in God) but I think this hermeneutic piece is the most helpful, especially since neither is a specialist in theology or biblical literature. One small criticism is that Mitchell and Riley claim this book is a ‘guide for pastors, health care professionals and families.’ I can readily see how pastors and families would benefit. I think health care professionals would to, but they spend too much time explaining medical terms, issues and procedures in dumbed-down layman terms for people in the discipline. I think most people who work in healthcare would find these parts of the book overly simple. I would think a more technical volume would probably be of more value for those in health care. Posted on December 31, 2014 Categories Books, Cross Focused Reviews, Ethics, ReviewsTags Abortion, B&H Publishing, Bioethics, C. Ben Mitchell, Christian Bioethics, Cloning, D. Joy Riley, Euthanasia, In Vitro fertilization, Reproductive technologiesLeave a comment on Taking, Making and Faking Life: a Christian Approach to Bioethics (a book review).